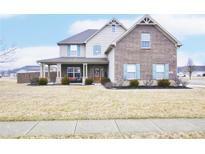 Below you can view all the homes for sale in the Windstar subdivision located in Franklin Indiana. Listings in Windstar are updated daily from data we receive from the Indianapolis multiple listing service. To learn more about any of these homes or to receive custom notifications when a new property is listed for sale in Windstar, give us a call at 317-493-0959. Bront brick home, Spacious totally updated eat in kitchen, New from the stubs up, new cabinets, new counter tops, new stainless appliances, upright electric plugs on counter top, New pella sliding door and multi-windows in kitchen, remote blinds in kitchen, Hardwood floors in kitchen, entry, hallway, and utility room, Vaulted ceiling in the living room, fireplace with blower, small foyer, Large master bedroom with tray ceiling, and 2 piece crown molding, with starburst textured ceiling, Large walk in closet, double vanities and garden tub, Utility room, 2 car attached garage, with a large parking area, 20x14 Pergola on a large concrete porch off rear of home. MLS#21626289. RE/MAX 1st Realty. FENCED back yard with huge DECK and FIRE PIT. Shed is 14x10. MLS#21626028. 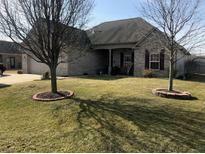 Indiana Realty Pros, Inc..
Near blue heron park and close to walking trails and downtown Franklin entertainment. MLS#21623370. Carpenter, REALTORS®. Updated Items: Dual HVAC System, Electric Pool Cover, Water Heater, Int. Paint, Granite, Appliances & Garage Door. MLS#21614131. Smythe & Co, Inc.